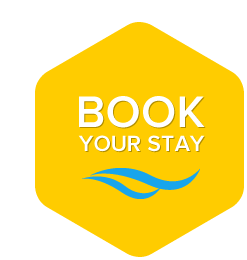 Prices are per person per day, for minimum stays of 7 days. Full Board Accommodation includes breakfast, lunch, dinner and water included during meals. Free unattended car park always available. Beach Service includes 1 beach umbrella, 2 beach mattresses and free use of the hotel cabin at the affiliated bathing establishment. For stays shorter than 7 days, a supplement from € 5,00 per person per day will be charged. Full Board Accommodation starts with the lunch of the day of arrival and finishes with the breakfast of the day of departure. Rooms will be available starting from 12 :00 and must be vacated by 10:00. Single Room Supplement: from 20% to 40%. Bookings will considered valid after the receipt of the deposit.